Belfast Boat Club plays host to many of the major squash tournaments in the country so it’s not a surprise our squash facilities are among the best in Ulster. With 5 heated courts and viewing galleries, it’s a great place to enjoy this fast paced and competitive sport. Would you like to try it? Our experienced squash coaches will help you understand the game, improve your skills and build your confidence. Junior and senior club play take place weekly and we encourage members to take part in ladder & box leagues. For coaching enquiries Get in touch with Squash Coaching Director, Josh McVeigh via reception or directly on 07702 172728. Squash club play takes place weekly for juniors and seniors, which is a great way to get together to play with other members of a similar level to you. We run a range of tournaments and leagues throughout the year, giving you the chance to play socially and competitively. There is an active ladder and social box leagues, open to all members. We enter teams at a variety of levels into the external leagues, giving you the chance to represent the club. Courts are available to hire for groups and corporate events with a full range of optional extras including catering, organised squash or coaching. Contact us for details. Junior Squad coaching at Belfast Boat Club take place Mondays and Thursdays. Age group ranges from 7-18 and beginner level – performance level. Contact Josh on 07702172728 for more information. 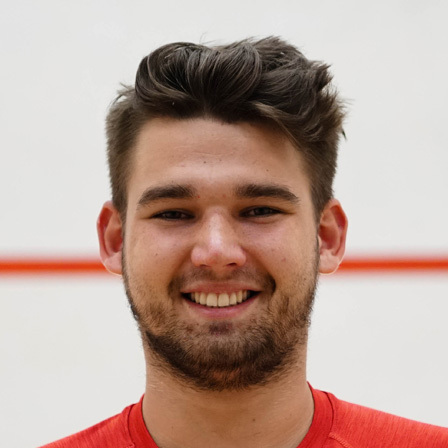 Josh is a level 2 WSF Squash coach with 5 years’ experience coaching. As well as being the Ulster Development and Performance Coach he coached in Dunbia for elite squash and was also Irish national coach for under 11’s and 13’s. Want to learn or play squash?